Hello, I am a 24 year old Afro-Dominican from Brooklyn, East New York who is a Midwife in training, Doula, Childbirth educator and recently the creator and developer of the IbiOp App. I recall practicing being a Doula when I was 12 years old, before even knowing it was a career and I learned about the Doula business after watching the “Business of being born” documentary. What made me interested in this field of expertise was the want to make women feel empowered by supporting them during the moment when they become super humans, but may feel the most vulnerable. During my extensive research to find a Midwife to be my preceptor as Midwife in training, I realized the lack of accessibility there is to different medical providers. Many Midwives who have their own private practice don’t have time to update their Facebook page or Twitter let alone have a website. Only about 27 states allow Certified Professional Midwives to have their own practice outside of Hospital Institutions, therefore, I made it a mission after training with the Farm Midwives of Summertown, TN to create a directory where not only clients can find these birth workers who specialize in natural birth but students interested in the field also. I hope the IbiOp App can provide jobs and more work for people in the maternity and women's wellness industry. It supports a woman entrepreneur improve her website and provide more services in her community. 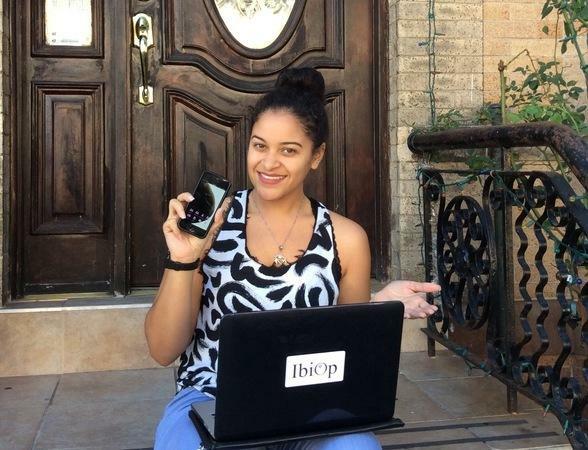 IbiOp App was created to allow women all over the world access to health care focusing on Gynecology. With the IbiOp App women can now access a directory medical providers or labor and birth support persons available anywhere in the world. This App will allow women who travel, working women or the women on the go, the touch of a button access to options available in her community for Gynecology services or Antenatal, pre-natal and postnatal support. This App introduces a team of trained professionals that women will eventually need throughout their lives. The Kiva loan will allow me the ability to hire a developer that can enhance the App with tutorials and updates more accessible for users. This loan will also pay for the licensing fees in order to create the e-commerce for the partners listed on the app to securely pay their listing fees. This App will be impacted by this loan because it will speed up the process of getting more providers listed and advertised on the app.